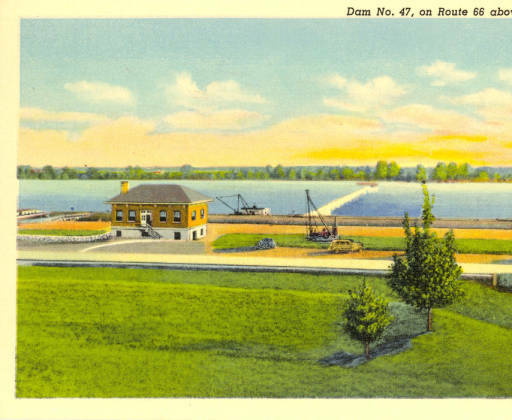 Operation of Lock & Dam # 47 in Newburgh by the Army Corps of Engineers began in 1928. That same year, in 1928, two lockmaster cottages were built on the bluff overlooking the Lock & Dam to house the lockmaster and the assistant lockmaster. These two houses are now a popular rental options owned and run by the Town of Newburgh. Lock & Dam # 47 operated until the Newburgh Locks and Dam were completed in 1975. In 1977, the Town initiated a two year lease agreement with the Department of the Army for the operation and public recreational use of the structures and the 8.42 acres they occupy. In 1979, the Town utilized a Department of the Interior Heritage Conservation and Recreation Service program that allowed the transfer of Federal surplus real property to the Town for park and recreational purposes. 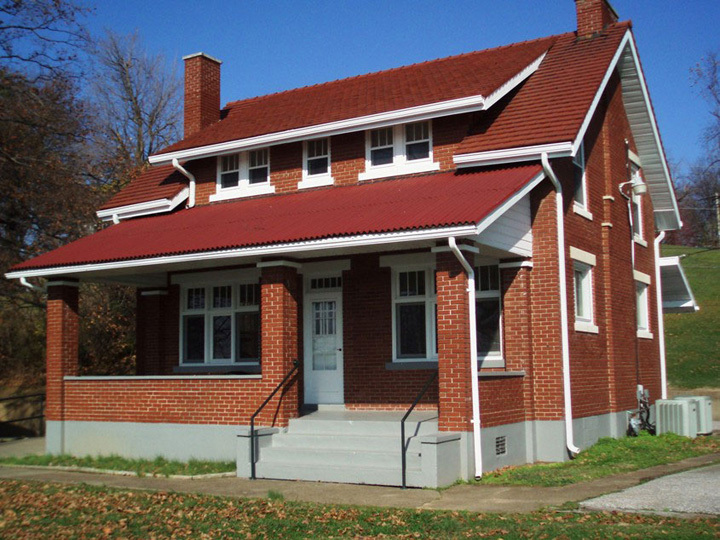 In 2009 the cottages were renovated by the Newburgh Town Council and the Park Board to make them available to the public for overnight stays. Each cottage is completely furnished and will sleep eight people. There are three bedrooms – one with a queen bed, one with a full bed, and one with two twin beds. There is a full Murphy bed in the living room. There are two full baths. The cottages are ADA accessible. Daily linen service is provided. The kitchen is fully equipped with dishes, flatware, pots, pans, and cooking utensils.